The name Tabtor is a combination of tablet and tutor. That we’re talking about an app must mean Tabtor Math uses some sort of algorithm that guides a student through exercises on screen. Sure, there is some of that. But what makes this app unique is the addition of an actual human tutor. A tutor assigned to each student will have access to their digital paper, screens with worksheets and math games that students can write on with a finger or stylus. The tutor is checking the answers, but he or she can also see the speed and logic of how a child worked out each problem with proprietary mind-mapping technology. From there, the tutor can provide feedback via voice or video message. The student can also ask his or her tutor questions by messaging them through the app. Through a companion app, parents can track their kid’s progress and receive reports from the tutor. Tabtor Math screen shots showing math performance and tutor reports. The cost, at first, may startle. Tabtor Math is free to download but then costs $30 a month for a basic plan with two other plans at $60 and $100. Consider that a private tutor can cost between $50 and $75 per hour. 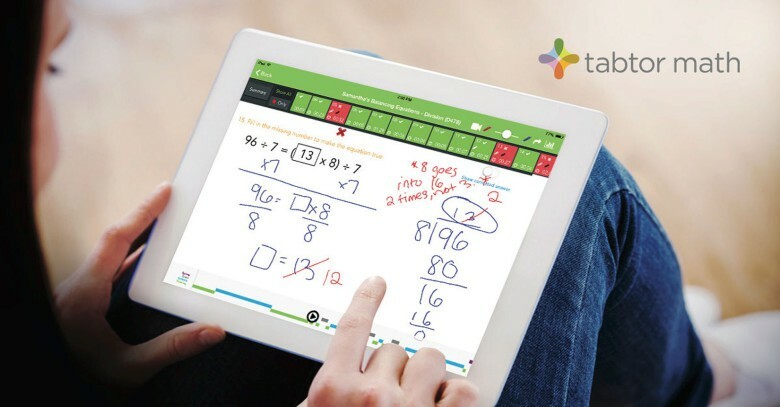 Tabtor Math, which Valli started in 2010 and launched in 2012, was named the top education technology company in the U.S. during this year’s Global EdTech Awards. I challenged the most math-adverse person I know to work through some of the Tabtor math problems. That would be me. My resistance to math as a kid is a residue that sticks to me to this day. When the bill comes at a restaurant, I flash the total to my wife so she can calculate the tip. But I kept at it through the sixth-grade math level. I found the screens kept me engaged. I was delighted by every chime and green check mark broadcast for each right answer. Of course, I got an occasional red X but even those musical notes were encouraging to keep the shame at bay. I went no further because I did not want to pay for a tutor, nor did I want to waste their time. I got enough of a sense of how the app guides a student and I have been receiving daily emails from someone on the Tabtor team enquiring about how they can help. I guess they didn’t want me to be among the few who quit. Valli said the app has a 97 percent retention rate. To be clear, Tabtor is not on-call homework help, but the tutors do design lessons that follow Common Core state standards for testing. 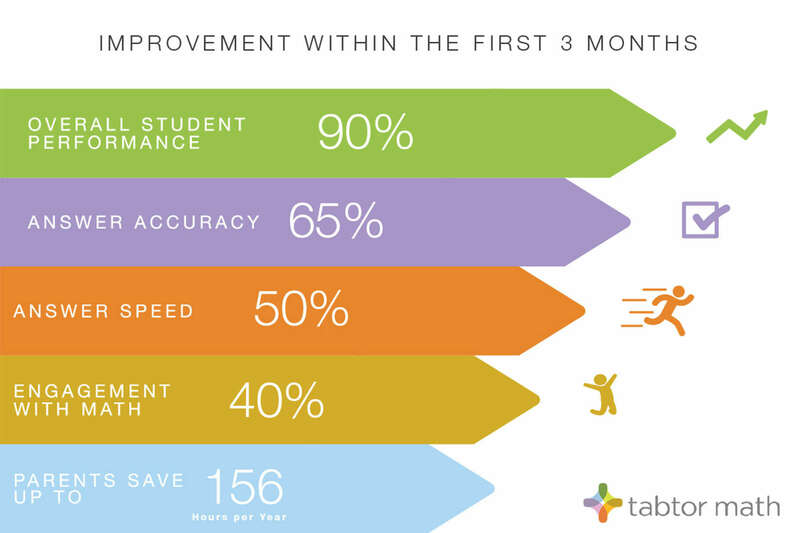 A screen shot showing a three-month progress report. Fred Johnson wanted math help for his son without pressure. At first, Sebastian struggled to meet goals and earn a monthly minimum point total agreed to by both student and tutor. He would skip lessons and find himself cramming at the end of the month. But then he adjusted, learning along the way that time management helped him find a rhythm. He carved out 25 minutes a day to work with Tabtor Math. His understanding, point totals and confidence soared. After a year, he still uses the app and checks in regularly with his Tabtor tutor. Tabtor’s Valli would not discuss specific numbers of students or tutors, but said for the “tens of thousands of students,” there are a “sufficient” number of tutors. Next, Tabtor wants to develop a math app for higher grade levels.